I made a little 6"x6" easel card. I simply cut out the image & matted & layered with different colours. Next, I added a bit of card candi to the corners. The base of the card is decorated with the matching backing paper. I added a strip of wide cotton lace & used the sentiment as the stop. Morning Dawn, this is gorgeous, I so love tulips, they always look so beautiful. Such a pretty card Dawn, beautiful image. 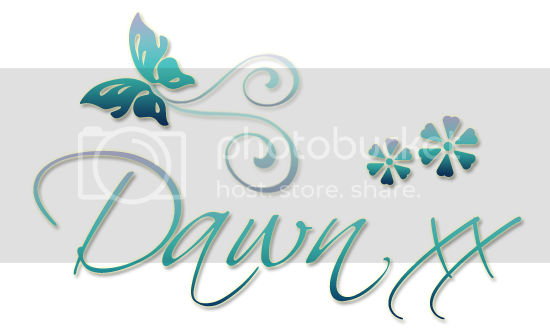 A lovely easel card Dawn. Great image and love the lace. So lovely! 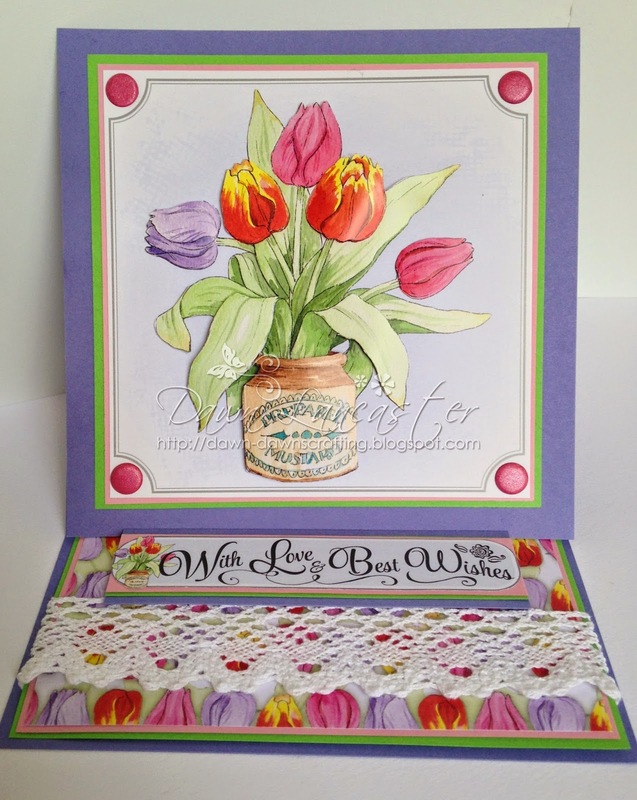 Beautiful card Dawn! Oh, what beautiful tulips, Dawn! Love the combination of papers and lace and the way you framed out the image.